In this tutorial, we will show you how to add a perfectly functional contact form on your newly created website. There are 3 easy steps to follow, plus a verification process – after the installation is in place. Make sure you are in the WordPress admin dashboard. Go to Plugins -> Add New -> Search for “Contact Form 7”. Press Install Now. After the installation is finished, press Activate. Now the Contact Form 7 plugin is installed and active on your website. You are still in the WordPress Admin dashboard. In the left-hand menu, a Contact section appears after the plugin installation. Click on Contact. Then click on Contact Forms. Keep it, as you will need it later. Messages tab – Here, you can customize the text that appears to the users when the message was successfully sent, or when the message failed to send, etc. Now let’s go to the theme customizer and set the placeholder for the newly created Contact Form. In the WordPress Admin dashboard, go to Appearance -> Customize -> One Page Express customizer. Next, go to Page Content -> Manage Page Sections -> Add Section. 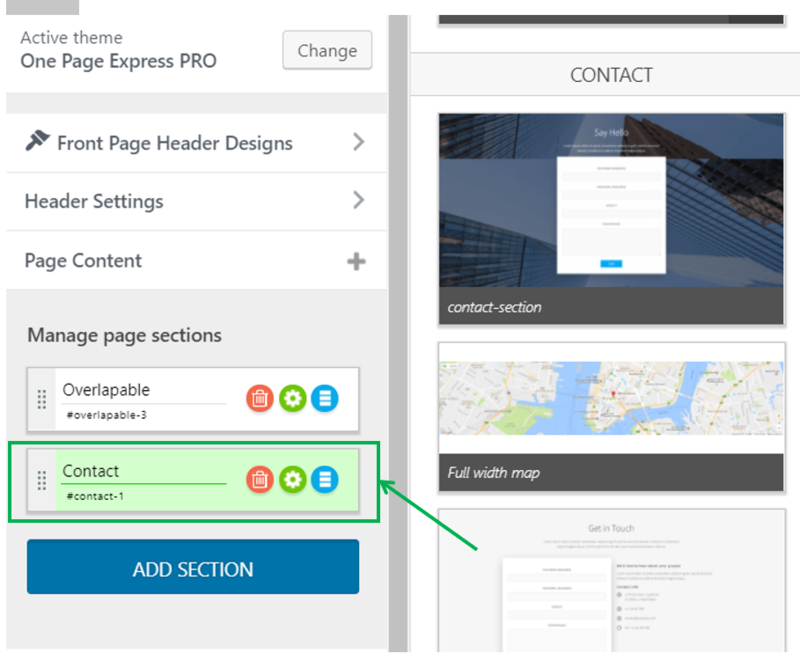 Place the mouse on the name of this content section (Contact) and you will be directed to the respective area in the customizer preview. 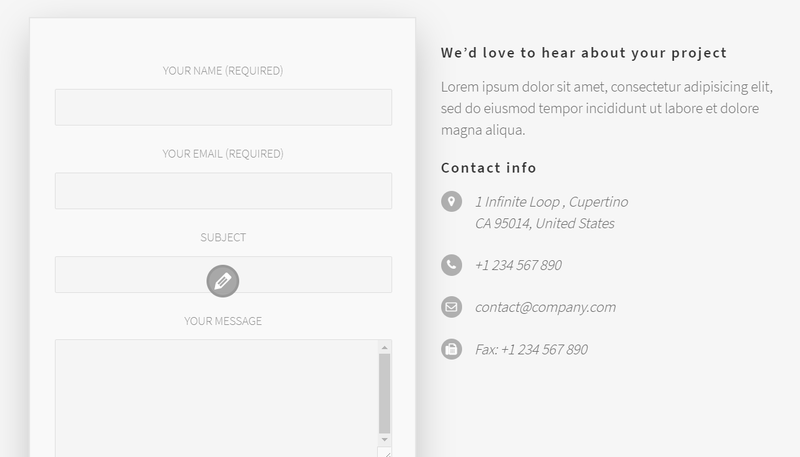 Click on the pencil inside the placeholder for the contact form, and you will be required a 3rd party form shortcode. To quickly check that the contact form is working, fill in the form and press Send Message. Check your inbox, to see if you have received a message from the contact form in the website.